Nagpur: The Maharashtra Metro Rail Corporation (Maha Metro) has decided to go in for captive solar power generation. The Nagpur Metro will get it at Rs 4.50 per unit in Nagpur Metro Rail Project. It will use costly conventional power in evening. Mahametro will tie up with Solar Energy Corporation of India (SECI), a central government undertaking, for solar generation. Nagpur Metro needs 14MW solar power to meet 65% of its energy needs. Maha Metro had earlier decided to float a tender for entire 14MW. Now, it will install of solar panels in stages. The advantage of open access captive mode is that no permission is required from Maharashtra Electricity Regulatory Commission (MERC). “Earlier, we wanted to generate power under solar rooftop policy. The problem is that there is a cap of 1MW under this policy. We had filed a petition in MERC to remove the cap for us as a special case but were not successful,” Dr. Dixit told. Mahametro plans to install solar panels atop its stations and along the boundary wall of the at grade section. Nagpur Metro is the first one in the country to go for solar power right from inception. 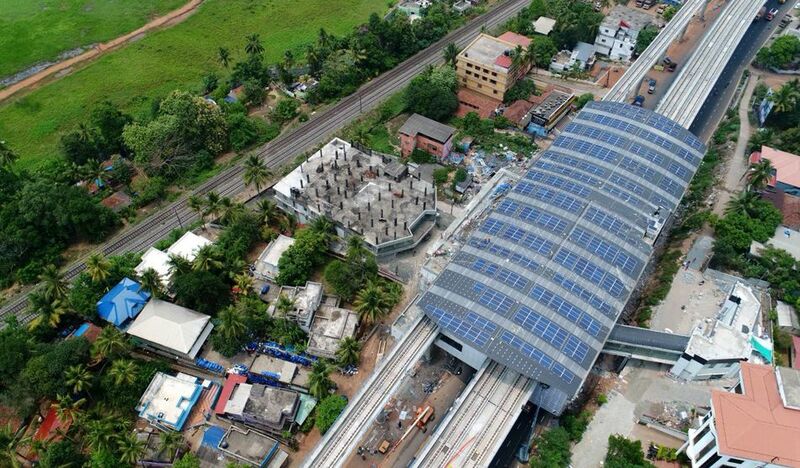 Other Metro installed solar panels atop their stations much after commence of commercial operation. Mahametro’s green initiative has been lauded by foreign lending agencies.